The VIP�s at Mad Catz spent some time with us for a heart-to-heart on their upcoming Street Fighter IV accessory line-up, including their inspirations, community involvement and explains why these are the best Street Fighter & Fighting Game accessories to date. SFD: Hi guys, thank you very much for taking your time to speak with us. Can we start by introducing yourselves and telling us what you do? CHRIS: Chris Carroll here, Sr. Product Manager at Mad Catz and I appreciate the chance to discuss our SFIV products with you. MARKMAN: Hello SFD, nice to meet you. My name is Mark "MarkMan" Julio and I�m Associate Product Manager for Mad Catz, Inc. I�m also the webmaster for fighting game news site SDTEKKEN. ALEX: My name is Alex Verrey and I am the Global PR & Communications Manager for Mad Catz. SFD: Chris and Mark, I hear you guys are Street Fighter nuts! Tell us a bit about your history with Street Fighter. MARKMAN: I�ve been in love with Street Fighter since day one. I casually played the original Street Fighter with the big pressure sensitive button at a local bowling alley, but like most people, I first got hooked when Street Fighter II: World Warrior hit arcades back in 1991. I was about 9 years old at the time! CHRIS: My first memories were also with Street Fighter 1 and the huge pressure sensitive punch pads but like Mark didn�t get completely pulled in until Street Fighter II launched. I was 13 when World Warrior launched and spent most of my time riding my bmx bike back and forth to "Indoor Golf", the local arcade. I was new to the area and met a lot of my high school friends in this arcade. For the next several years we would play everything from Street Fighter to Samurai Showdown but always gravitated back to the SF machines. 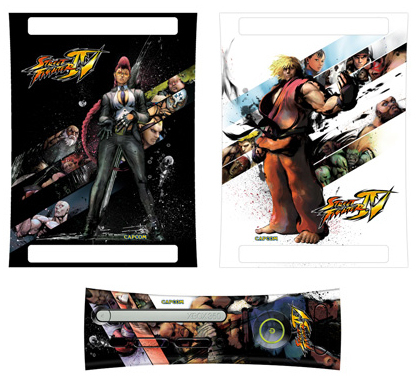 SFD: What steps did your team take to research "what players want" in the new Street Fighter IV accessories line? CHRIS: We have many Street Fighter fans here in the office so we had some great internal feedback to start. Mark has been heavily involved with the fighting game community here in San Diego through his website and has the biggest arcade stick collection I have ever seen. We also worked closely with Capcom and their community manager Seth Killian to ensure the voices of the official Capcom and other popular Street Fighter forums were heard. MARKMAN: I�m very involved in the fighting game community and have a strong passion for fighting game controllers such as arcade sticks and gamepads� I was able to bring my knowledge about retail and custom arcade sticks and apply that towards our products. ALEX: As Chris said, it was imperative for us that we worked closely alongside Capcom to really produce a range of authentic product which would simply stand as best in class. We knew that there would be many consumers skeptical of a Mad Catz FightStick, particularly as we don�t have a history in this area. I think this was a real opportunity for us to show the gaming community what we were capable of. SFD: We saw a Ryu, Ken, Chun-Li, Blanka and Akuma Fight Pads. Will these 5 character pads be available for both XBOX 360 and PlayStation 3? How did you decide on these 5 characters, and are there plans on more in the future? CHRIS: Those 5 characters are available for both consoles and were chosen as they are a great mix of the top characters along with what worked best visually. It is possible that we will release other characters in the future but nothing is confirmed at this stage. ALEX: I�d like to add that at present only the lucky North American consumers get a choice of all 5 FightPad designs. 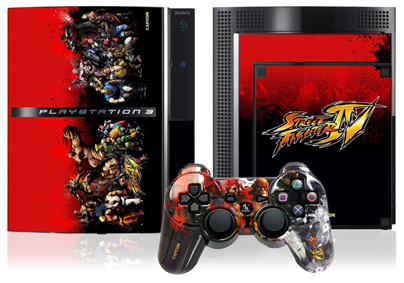 Currently Europe will only be carrying the Chun-Li, Ken and Ryu designs for both Xbox 360 and PS3. SFD: Can you tell us a bit about the Fight Sticks? How many kinds of Fight Sticks will be available (different designs, etc)? 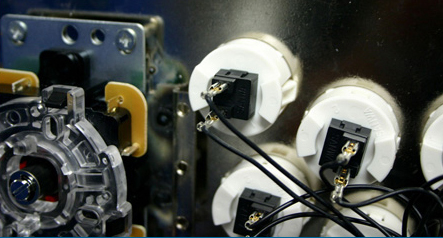 What makes these sticks different from all the other home arcade sticks we've used? CHRIS: Mark mentioned the core features which are shared between the sticks. In addition to these, the TE stick is packed with a couple of extra features not found in the standard FightStick. This includes a cable storage compartment that allows you to store and display the TE FightStick with the cable neatly stored within the housing of the stick and rubber feet that when removed, reveal pre-threaded mounting holes for custom installation. SFD: So tell us� what is the big commotion about the Tournament Fight Sticks? Everyone is talking about it! What makes it so special? MARKMAN: The Tournament Edition of the FightStick offers the best arcade experience for Street Fighter IV aside from having an actual Vewlix arcade cabinet. If you�ve been keeping up with the news on this arcade stick you�ll know that it has already sold out through preorders on almost every store and website. I honestly think the reason for the demand is due to the massive amount of hype and excitement surrounding Street Fighter IV! One other big reason is due to this being the first commercially available arcade stick in the US to feature authentic arcade parts from Sanwa. 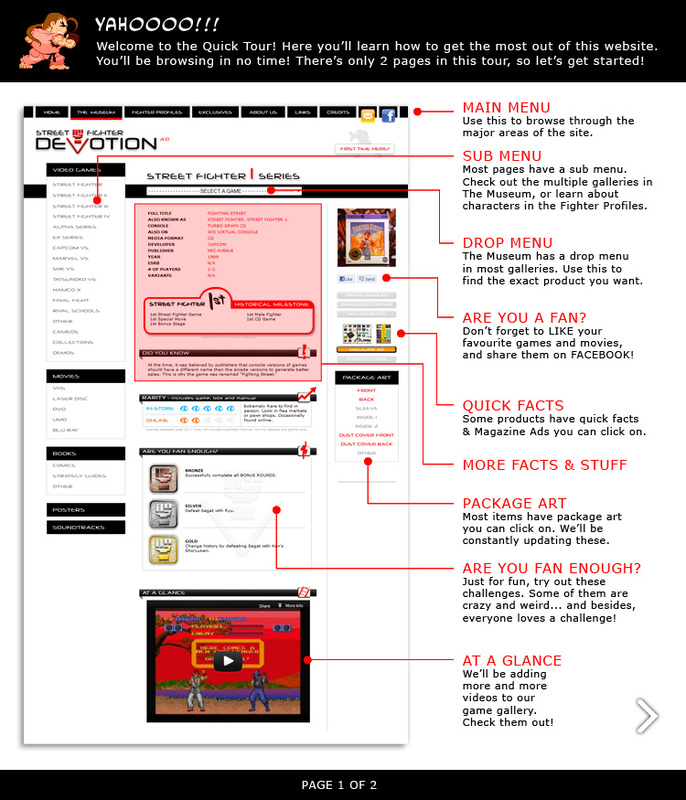 If you frequent Shoryuken.com, you�ve probably seen me there talking about arcade sticks. The community there is so enthusiastic and I truly believe SRK is the alpha and the omega of the Street Fighter world� Once SRK approves, word gets out. They tell their friends and their friends tell other friends� You see what I�m getting at? CHRIS: I think Mark nailed it! The Street Fighter community is huge. Riding the wave with them and collaborating has been an amazing experience. ALEX: Again, I have little to add here other than the directive for the Tournament Edition Arcade FightStick was to simply not compromise in any area. 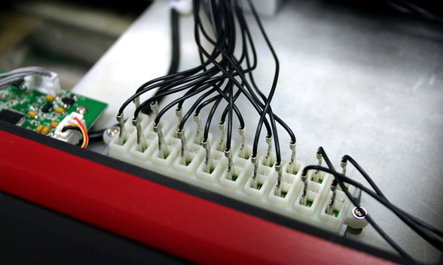 We set out to deliver the worlds best, most authentic Arcade FightStick. Humbly, I think we nailed it! SFD: What is your favourite feature of the Tournament Fight Sticks? MARKMAN: My favorite feature? That�s like asking me to pick my favorite child! Hrm� I honestly like the actual design look. Our designer that worked on the stick, Lawrence Yeung, did an excellent job designing the casing and giving it the Vewlix look/feel. Our art director, Roentgen Reyes then put together some very nice art for the main faceplate and did an amazing job on the box packaging. CHRIS: Ahhh�I was going to say the design and packaging as well but beyond the look and feel, my favorite feature is the button layout and components. Having spent quite a bit of time on the actual Vewlix panel, and having had the pleasure of playing early builds of the game with the TE, I can honestly say both the game and the FightStick feel arcade perfect. SFD: Are any of the accessories wireless? MARKMAN: The only wireless product is the PLAYSTATION 3 FightPad. Everything else has a 4m cable (approx. 13 feet). SFD: Are there any bonus materials coming with each package? CHRIS: The standard FightStick includes a character move�s list inspired by the moves list on the actual arcade machine. The TE stick includes the best packaging ever created for a FightStick and is something that the end user will definitely want to hang onto for display. It truly is a great out of box experience. SFD: What is the expected price for each of the accessories? 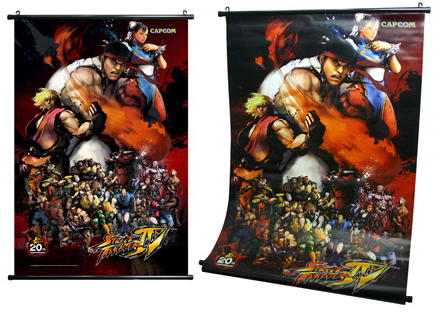 SFD: Can you tell us a bit about the Official Street Fighter IV Wall Scroll? CHRIS: Wall scrolls have been popular for displaying anime artwork for years and we feel is a perfect match to display the beautiful artwork created for Street Fighter IV. ALEX: We wanted gamers to feel free to customize their entire gaming environment should they feel free. That is why we have Faceplates and Console Skinz as well. The Wall Scroll gives your gaming area a really cool �dojo� like feel! SFD: What are the designs like for the Faceplates (XBOX 360), Console Skinz (XBOX 360 & PlayStation 3) and Controller Faceplates (PlayStation 3)? CHRIS: Console faceplates and vinyl console "Skinz" have been popular items for many of our previous licenses and give your console a truly custom look. The controller faceplates are hard plastic top covers that clip onto your official Microsoft or Sony first party controllers and require no modification to the controller. The key with these is that they don�t interfere with the buttons or D-Pad. SFD: Where could fans purchase these accessories? CHRIS: These are available at most major retailers like GameStop and many online stores including gamesharkstore.com. ALEX: Officially they are not a limited edition product but realistically, they may well be hard to find now and impossible to find a year down the line. I advise fans to get their orders in now! SFD: If you could BE a Street Fighter, who would you be and why? CHRIS: I would be Guile. I am jealous of his sweet haircut. And I have seen Mark�s red thong�but we will save that story for a different time. ALEX: I would be E Honda, let�s face it, I pretty much look like him already�. SFD: Nice. And finally, do you folks have any additional messages to the Street Fighter community? MARKMAN: Yes. More specifically� Thank you to SHORYUKEN/SRK, CAG Fighter Thread, NeoGAF, SDTEKKEN, Tekken Zaibatsu and everyone else who believed in the project and provided feedback. Extra special thanks to Seth Killian and everyone else at Capcom, Microsoft US/Japan, Chad from Lizard Lick, TheRealNeoGeo (Per) from Akihabara Shop, ShinJN, Shin-RoTeNdO, Paik4Life, akuma001, and everyone else in the �arcade stick� community! 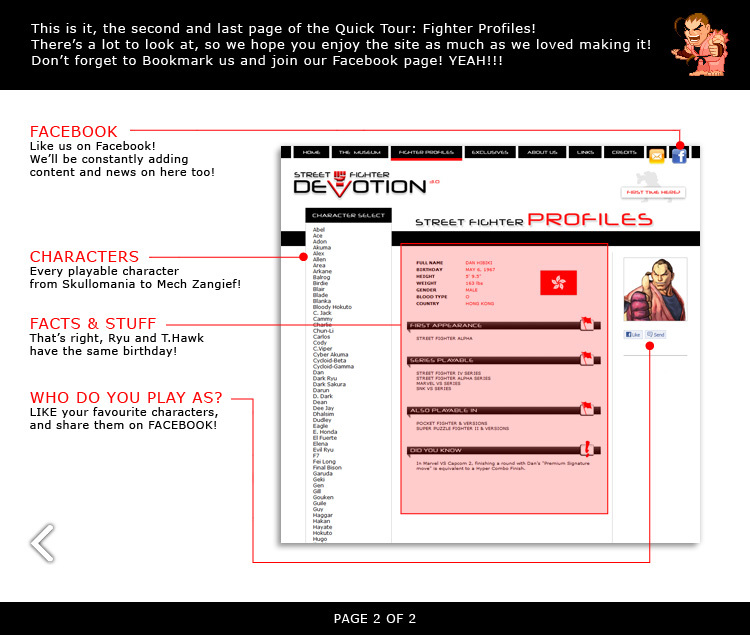 And last but not least, thank you Street Fighter Devotion for all your hard work! CHRIS: It is great to see the Street Fighter community strong and growing. It�s not like it ever disappeared, but SFIV will definitely pull some of the older fans back in and introduce the game to an entirely new generation. It is a shame that many will never experience the anticipation of putting your quarter up and waiting your turn, but with the excellent port of the game combined with either of our FightSticks, we will give the fan the next best thing to a genuine arcade experience. ALEX: I would just like to thank the fans for the overwhelming support and feedback they have given us thus far. Genuinely, we�re all gamers here at Mad Catz and we hope you all enjoy the range as much as we have! SFD: Thank you again guys. Can't wait to add all of these accessories to the Street Fighter Devotion museum. We look forward to seeing more products from MadCatz! Keep in touch! ALEX: Thanks guys, stay tuned for more!